Have you ever stopped to wonder why we have such a strong attachment to cheese? 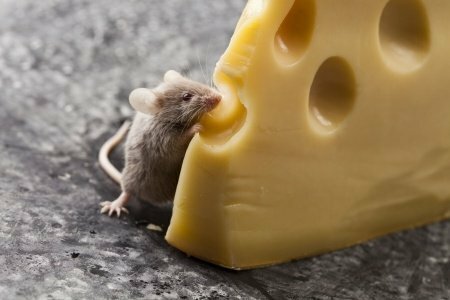 Cheese, along with other dairy products, seems to have become imbued with an importance that far outweighs any rational reason for our dependency on it. Perhaps it has something to do with how difficult we find it to face change. In fact, what we experience in relation to giving up dairy cheese bears a remarkable similarity to the story in the book on how to cope with change, ‘Who Moved My Cheese‘. 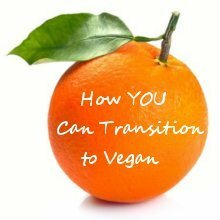 In this article I mirror our experience with trying to give up dairy cheese with the book’s message on how to deal with change. When confronted with the idea of being vegan, the person will glare accusingly at whoever is making this rude suggestion and ask what they expect them to do without milk in their tea, or butter on their bread and heaven forbid “I could never give up my cheese!” We seem to gain emotional fulfillment and happiness from this dainty morsel. It is almost like we are trying to fill the deep void of our yearning to be loved, with cheese and other milky treats. Where did these concepts come from: that we need cream in our coffee, butter on our scones, or any cheese at all? These are all man-made conventions. They are totally unnecessary for any other purpose than for our pleasure and sensory gratification. There are many other, far healthier, ways for us to feel cozy and cherished. If we lift back the curtain and look into the truth behind the dairy industry, the cheese we find so nurturing, might take on a new meaning. Spare a moment to think of the calf who is deprived of his milk; and of his mother, who’s life consists of daily mechanised milking sessions and annual cycles of enforced pregnancy, followed by months of mourning her lost calves, only to end up at the slaughterhouse anyway. When seen in this light, is your cheesy lasagna really worth their misery? Yes, we work hard for our money and we do deserve a few small pleasures in life; but when did the calf and his mother become responsible for this, and why must they pay, with their lives? When stumbling on this knowledge for the first time, life might seem unfair. What happens from here onwards all depends on how we deal with change. We could choose to block our ears, cover our eyes and pretend we never became aware of these horrid facts. But truth has a way of sneaking up on us. The cheese that once embodied comfort and sustenance, now represents something totally different. And it is not love; as the dairy giant, Clover, would have us believe. In fact, it is the antithesis of love: it is loss. The loss of a calf’s life, the loss of a mother’s love. It is all bitterly disappointing. But it doesn’t have to be like this. 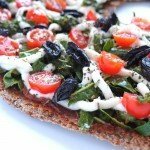 If you are willing to move with the cheese, you will find that being vegan means you can have as much cheese as you like! Yes, you can have cheesy lasagna, pizza, macaroni and cheese, cheesecake, cream cheese, hard white cheese and lots more. 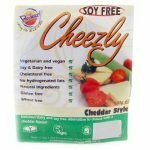 You can either make these delicious cheesy dishes yourself, or buy vegan cheeses from supermarkets throughout South Africa. 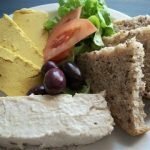 Yes, vegan cheese is the “New Cheese”. It is cruelty-free and 100% cholesterol-free; good for you, the planet and doesn’t cost the life of the gentle eyed cow and her calf. Now, isn’t that a glorious reason to celebrate! For more advice on how to give up cheese, contact me. Source: ‘Who Moved My Cheese?‘ by Spencer Johnson MD who, in addition to being the author of a number of successful books, worked as a research physician and was one of the original innovators of cardiac pacemakers. So please do not take the above references to his very worthwhile book, to mean we support his personal life choices. 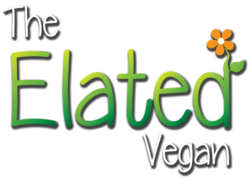 Elated is opposed to all animal testing.